If you're looking to invest in rental properties, not all markets are equal. These are the best rental markets in America right now. You're itching to boost your bottom line this year, and you're thinking about doing it by becoming a landlord. Research shows that 27 percent of people in the United States rented their homes back in 2016. And rent prices increased by almost 50% from 2007 to 2017. The question is, where exactly should you purchase your first rental property? If you're looking to invest in rental properties, not all markets are equal. Here's a rundown on the best rental markets in America right now. This city, located on Florida's west coast, has the second-largest number of people in a metropolitan area in Florida, after Miami. The Tampa area is ranked among the most quickly growing metro areas in the United States. It is specifically known for its strong emphasis on employment growth in such areas as health care and financial services. In addition, the city has a number of solid Fortune 500 firms, including WellCare, Jabil Circuit, and Publix. What makes Tampa stand out from a real estate standpoint is that the area has homes that are high priced for the most part, but it still features pockets where you can find houses at prices that are affordable. For instance, you could easily find a $120,000 home in Tampa and then rent it out for nearly $1,100 per month to $1,400 per month. On top of this, you could take advantage of opportunities to rent out homes short term since Tampa is both an excellent market for tourism and a popular place for retirees to call home for part of the year. This is another city that can't be beat if you're looking for promising investment homes, for a number of reasons. For starters, Pittsburgh houses many large corporations, like Federated Investors and PNC. These companies help Pittsburgh to maintain its growing economy. All in all, the economy's strongest areas include film production, glass, financial services, robotics, technology, education, and health care. However, Pittsburgh is additionally known for its natural gas and oil production. Pittsburgh's strong economy makes it a great place to invest in rental properties, but so do the affordable prices of rental homes. In 2015, the city was recognized as the most profitable city for flipping houses in the United States, and rent prices remain strong in the "Steel City." When Houston was first incorporated back in the 1800s, railroad construction was the main industry. Houston today is very different from the Houston of the past. These days, it is doing far more than railroad construction, serving as the home of nearly 50 Fortune 1000 firms. In fact, Houston has the second biggest concentration of companies in the United States. In addition to this, the city has developed a reputation for being a landlord-friendly and stable market—one that offers equity growth and cash flow. And you can acquire properties here that are far below the cost it would be to replace them. The fact that Houston is touted as one of the best municipalities for young, budding entrepreneurs is just another reason for young real estate investors to flock to "Space City." Huntsville, located north of Birmingham, has built a reputation for its space missions and strong Southern heritage. 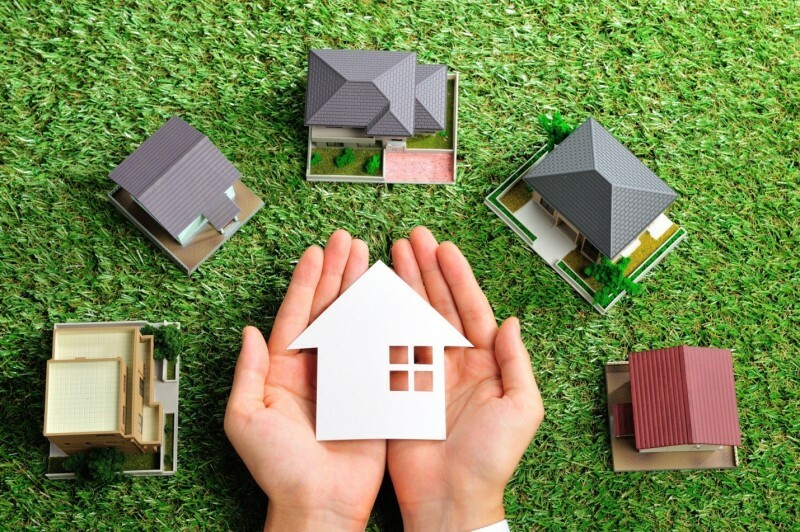 However, what makes it especially appealing to real estate investors is the fact that it has helped to lead today's economic recovery in the United States. It has garnered accolades for its defense and technology industries. It also offers a wellspring of opportunities for those interested in getting into the service, manufacturing and retail industries. However, above all, it is praised for being among the country's most affordable areas to live. As a real estate investor, you can expect to generate a good passive income here on top of nabbing properties for much lower prices than you'd find elsewhere in the country. This city is yet another one of America's strongest real estate markets, offering future growth and significant cash flow to investors. This area's technology and health care sectors are growing quickly. In addition, Millennials are choosing Cleveland due to the employment opportunities that are available at such companies as Key Corp., The Cleveland Clinic, and Eaton Corporation. The quantity of individuals moving into the downtown area has especially grown, jumping nearly 80% between 2000 and 2015. This is the biggest population hike of any city in the Midwest, including Chicago. Also, the average rental occupancy rate each year is 95% in the Downtown Cleveland area. Yet another reason to keep Cleveland on your radar as a real estate investor is that you can easily purchase a single-family home here at a much lower price than you would have during the middle of the first decade of the 21st century. For instance, in some neighborhoods, you can find homes that sell for between $70,000 and $85,000. These same homes rent for between $800 and $1,000 per month. What does this mean for you? It means you can take advantage of great appreciation and cash flow opportunities in the Cleveland market. If you need help with funding your investment deal, a mortgage lender can provide you with the advice you need from start to finish. In addition to highlighting the best rental markets in the United States, we provide other advice for those who would like to be landlords. For instance, through our site, you can learn about the advantages and disadvantages of being a landlord. We also offer a number of tips for those who are looking for the best places to rent an apartment. For instance, we offer guidance on what to look for in a rental property. Take a peek here to find out more about how you can make your experience as a tenant or a landlord a promising one long term.